One of the most hyped clubs in Hungary right now is LÄRM. 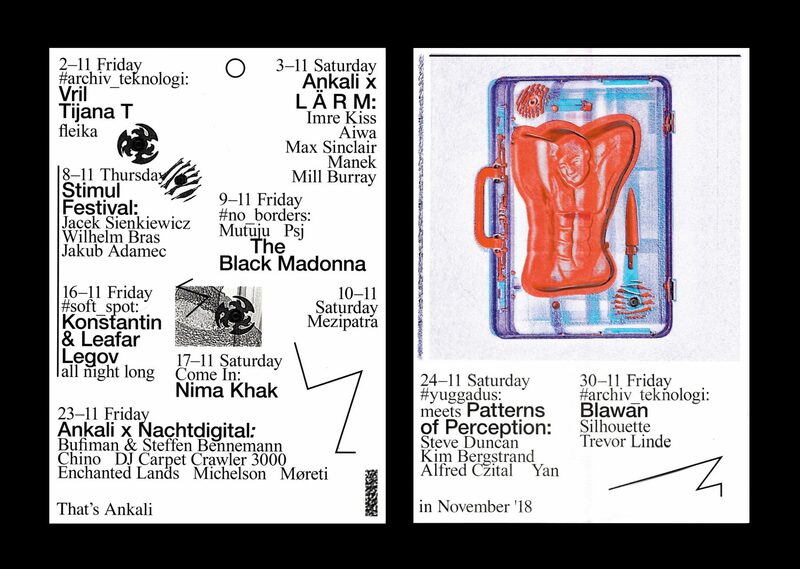 As a follow-up to one night in August when our residents travelled to play in Budapest, we’re hosting a LÄRM takeover in Ankali with a juicy lineup of artists affiliated with the space: Imre Kiss, Aiwa, Max Sinclair, Manek and Mill Burray. Representing the scene that emerged around the venue will be the hazy club electronics producer Imre Kiss who released on Lobster Theremin, the genre-bending tape lover AIWA, the co-founder of the quirky label Dalmata Daniel Max Sinclair and residents of the club Manek and Mill Burray.